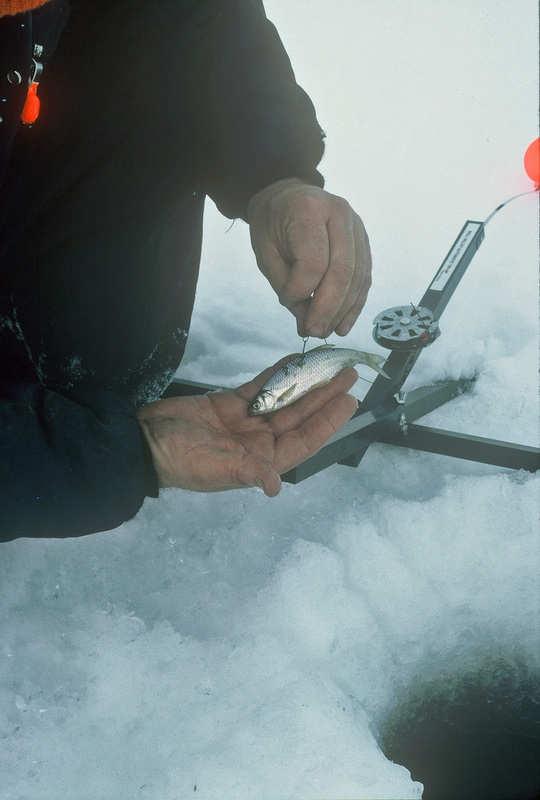 Finding fish through the ice can be difficult but possible. The most obvious way is to know the water and at what level the fish are holding. Bluegills and perch are typically near the bottom. All fish seek a comfort zone in the water column. Discussions with other anglers and at bait shops often will provide the information needed. Portable fish locators and submersible cameras will tell you if fish are present and at what depth. Since fish tend to school up during the winter you can ignore one or two fish in favor of a school. Find where the crowd is and fish that location. Since fish look for food at eye level or a little above it, knowing where they are will help in placement of bait or a lure. Drill a number of holes and fish them all until you get some action. The fish will move but generally not very far away. Drill a pilot hole and lower some kind of line to measure the depth. A weight placed on a length of fishing line works well. On colder, low light days, star by fishing deeper and tighter to the available cover. With more light and warmer conditions, fish shallow and close to weeds, drop-offs, weed beds, and any other submerged structure that tends to attract fish. Ice rods and small reels as well as tip-ups complete the ice angler’s repertoire. Ice rods are short flexible graphite rods made for ice fishing. They are usually 24 to 36-inches in length and the reels spooled with 2-pound test line. Tip-ups hold the bait at a certain depth. The reel turns from the tug of a fish and releases a red flag signal. When the flag flies it is time to hand line the fish up through the ice hole. Hooks are usually size 8 or 10. Small tear-drop jigs in a variety of colors are good. Bait for bluegills and perch is usually grubs, mousies, wigglers and waxworms. Hook small minnows through the back to allow them to swim freely. Use a small bobber to keep the minnow or other bait at a precise depth. Jig the bait and then allow it to sit motionless. The movement attracts the fish and they strike it when it sits still. Do not overdo the action. If fish are reluctant to hang on to the bait, try using a fish attractant. Attractants are at their best in cold weather. Finally the best time to ice fish a pond is any time you can. Ice thickens in the severe cold weather so it is probably most desirable to key on the warming trends, abrupt weather changes and low light periods. The ghostly plumes of mist rising from the lake created by cold air above the warmer pond water give birth to an eerie scene. Boats glide slowly across the lake only to disappear into the fog. It is winter fishing in southern Illinois. Ice fishing without ice if you will. Following the holidays, angler’s thoughts return to things that are really important, fishing. 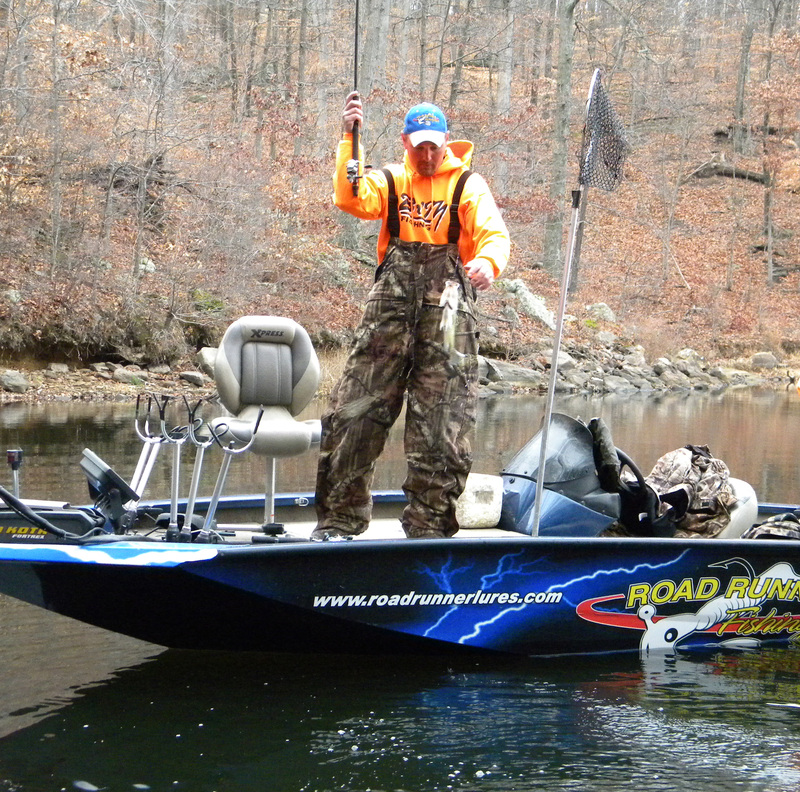 Contrary their brothers and sisters in the northern part of the Land of Lincoln, southern Illinois anglers can find open water with hungry fish, a few miles from home. Anytime the weather is bearable, they will be on the water. Baldwin Lake and Lake of Egypt are two popular power plant lakes in southern Illinois remain almost totally ice free throughout the winter. After the first of the year, the fishing action really begins to heat up. Baldwin is a 2,000-acre lake north of the town of Baldwin, IL in Randolph County. It is about 45-miles southeast of St. Louis. The lake offers angling for largemouth and smallmouth bass, striped, white and hybrid striped bass, white, black or hybrid crappie, flathead, blue and channel catfish. Water travels via pumps into the lake from the Kaskaskia River. From there it goes into the three huge coal-fired plants before returning to the lake. Because the water is warm, as it comes out of the plant the lake never freezes over. In winter those mists rise on the lake giving it an eerie look. The lake offers more than two miles of bank fishing within walking distance of the parking lot. The catfish of the lake include some monsters. Lake of Egypt is a large body of water about 7 miles southeast of Marion, IL in Williamson County. It is just a few miles east of Interstate 57. With some 2,400-acres it is one of the largest lakes in this area of the state. This cooling lake has a hot water area in the northern end. It can be rather wind-blown at times. The lake for the most part remains ice free during winter. But, some of the coves can freeze or have some skim ice in extreme weather. Good numbers of bass and crappie come from this lake each year. Cover is not abundant but the areas of weed growth can provide fishing action. Anglin pressure is heavy on the lake during warmer days. But in winter you can have much of the lake to yourself. Winter fishing for southern Illinois anglers does not usually involve walking out on the ice and drilling holes. Many of the other techniques, such as slow retrieval of lures, still apply. It is just ice fishing without the ice. To the non-angler, fishing in winter seems like a venture in folly. One person once asked how you get the cubes to stay on the hook. No matter what the angler’s expertise, ice fishing offers a chance to overcome obstacles, enjoy the camaraderie and employ rugged skills. The social aspects of the sport seem to be more than a little part of the fun. Ice fishing gives you the freedom to move about and talk to other anglers. In a boat you are sometimes reluctant to do the same. You are free to talk with others fishing the same area. Because the fish seem to concentrate in certain locations, there usually are a number of anglers fishing the same area. Ice fishermen are a small community of anglers who share a desire to sit in freezing conditions and do not feel the need to be secretive. They figure attempting to hide the fact that they are catching fish is unproductive since everyone can see where they are set up anyway. Ice fishermen seem more willing to talk with one another and to share information about the bite. When most people go out on the ice and do not know where to fish, they head for the nearest group, which may only be two anglers. Others do the same and pretty soon there is a whole village. The bucket brigade is a name given to anglers who go out on the ice with minimal shelter, sit on a five-gallon bucket and work a little harder for their fish. These guys never worry about somebody in their spot. You cannot fish two lines through an 8-inch hole. 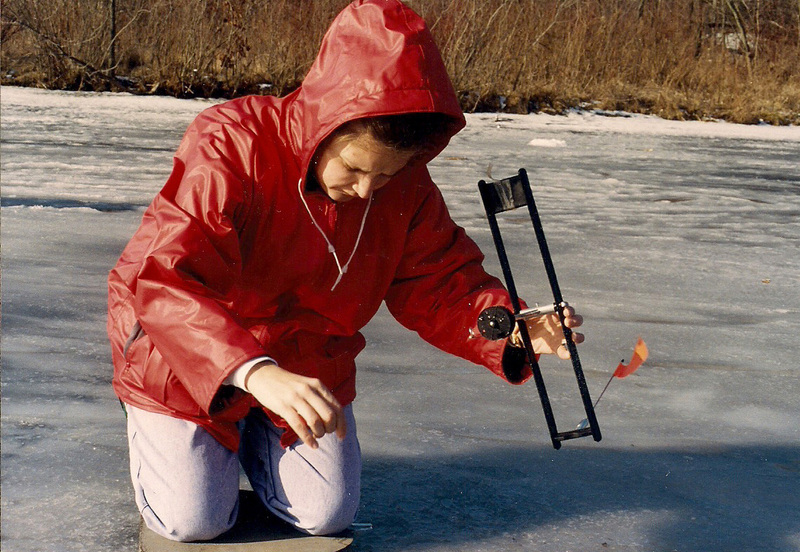 There has been much learned about the techniques of ice fishing in recent years attracting many people to the sport. Improvements in equipment and clothing attract people in to the sport that may not have had an interest in the old ways of ice fishing. As ice fishermen we should never forget that there is a social aspect to it. That is one of the things that make it magical. Recent responses to a varmint hunting article have caused some introspection as to why in this modern age we still hunt them. Some sportsmen, and others, question the shooting of animals that we do not intend to eat. Varmint hunting is more than just shooting animals. Besides the fact that some, such as crow and woodchuck, are edible there are other reasons that varmint hunting is an important part of wildlife management. The most common varmints hunted are the dog species, fox and coyote, and smaller mammals such as woodchucks and ground squirrels. The raccoon, although usually considered a game species, also can be a serious problem predator. It is a fallacy that wild populations if left alone will find their own balance. The myth itself is based on the fact that such a balance was maintained prior to the appearance of man upon the scene. Man has appeared on the scene and changed the environment in such a way as to drive out the larger predators that kept varmints in check. With the destruction of wild habitat, those animals left are crowded into ever decreasing areas. In turn more competition for the remaining food supply increases. The varmints lower on the food chain are forced to starve off or move into areas where they come into conflict with the human population. This creates problems for mankind. Starvation is nature’s way to control wildlife populations but it is a cruel and painful way to die. If government and landowners have to move into control of these populations, the usual method selected is poisoning for it is cheap and effective. Poisons provide a usual slow and painful death. Regulated hunting with seasons and bag limits provide a method of controlling the numbers of animals removed from the wild and provide a quick humane dispatching of the animal. Hunter license fees provide necessary dollars needed for studies of management needs and accomplishment. Non-hunting public never thinks of this problem. Only hunters provide those funds not the non-hunting public. On a more personal level, varmint hunting is an outdoor recreation which is usually available in the periods when ordinary sport and meat hunting is not available. It provides the family with a chance to experience the outdoors and combine hunting with other outdoor recreational experience such as camping, fishing, hiking, etc. It also provides a method of controlling damage to crops, pets and livestock. A piercing sound breaks the early down silence. It continues until you think it will never end. It is the sound of a rabbit in distress that goes on and on. Actually, the sound emanates from an electronic game caller. The purpose is to attract a hungry coyote, raccoon or fox. Suddenly from across the field a coyote appears with his nose to the ground. He lopes along in search of the easy meal promised by the sound of the call. He just appears on the edge of the brush and silently moves along it toward the sound. These electronic calling machines lure hungry predators into more open areas and close proximity to hunters. There are two kinds of calls, electronic and mechanical. The mechanical call requires a bit of wind power supplied by the hunter. The electronic caller is easier on the hunter by producing an electronic reproduction of recorded sounds. Electronic calls have powerful output, a longer duration of play, more accurate sound, a wider variety, can be operated hands free and usually use distress calls to attract the predator. An advantage to mechanical calls includes that they are lighter weight, compact, inexpensive, have a more variable pitch and offer great personal satisfaction form their successful use. Both types of calls also have disadvantages. The electronic call is a more expensive investment, has more weight to handle in the field, is larger and requires maintenance as well as the re-charging of batteries. Mechanical calls can have too much or too little volume according to the skills of the user. The require movement of the caller which can call attention to his location. They take some practice and in cold weather can freeze up due to saliva accumulation. A key to varmint hunting is to set up in a good habitat situation. It might be brush near a creek. Many animals use waterways as highways to their feeding areas from a den or bedding area. The caller sets up downwind of the direction from which he expects the prey might come. Hunters must be ever mindful of his concealment until it is too late for the predator. An ability to remain motionless is vital. Therefore, good optics and warm clothing are a must. In cold weather without warm clothing the hunter can be miserable. The good optics enables the hunter to see the quarry long before would otherwise be the case. Unlike calls for waterfowl, turkey and deer, the predator call is not a type of communication between members of the same species. The imitate food species in distress. Most common is the sound of a rabbit in trouble. The shrill, high pitched call can be ear-splitting. As the predator approaches the sound he will become more keenly wary of his surroundings. 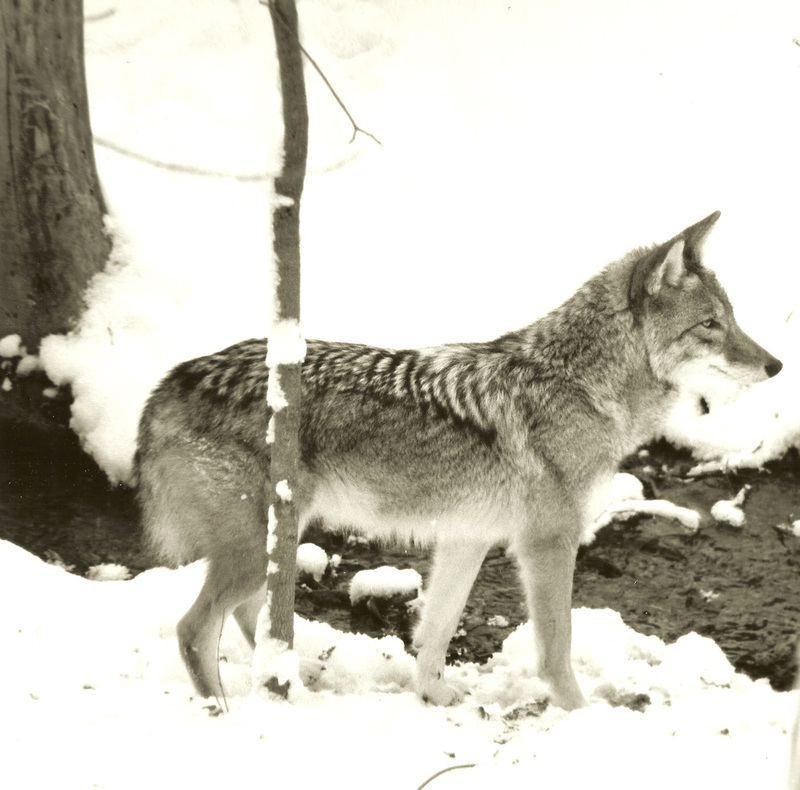 One way of coaxing predators the last few yards is to implement “squeaker” or coaxing calls. Usually those are ones that make a squeak of a mouse, softer sound. 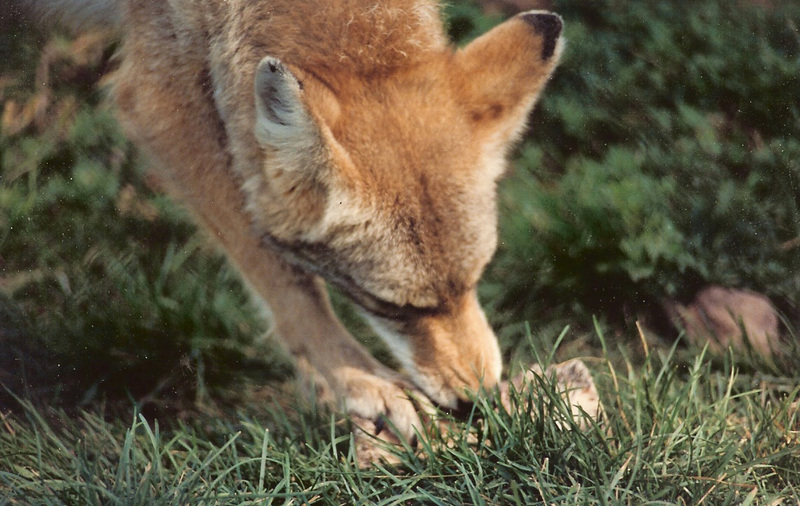 Normally a nocturnal animal, coyotes can be lured into range in the early morning or late evening. On cloudy days, the sound of a call can stir hunger pangs in the predator at most any time of the day. Land owners welcome coyote hunters as a way of controlling the predation of their household pets and farm animal such as chickens. Hunting predators benefits ground dwelling wild birds and upland game by eliminating a major source of predation on their numbers. By learning the daily habits of the quarry, studying vocalizations that attract them and exercising some practice, the hunter can find himself in possession of a fine trophy in the off season. Every year numerous hunters take to the woods in pursuit of the White-tailed deer. As the season progresses conditions in those stands deteriorate as the snow and ice cover the equipment and cold weather numbs the fingers and feet. Still most of the hunters will use a treestand. Many injuries occur to treestand hunters in the stands and climbing into and out of them. Most of those injuries are preventable with just a little common sense thinking ahead of time. Hunters go high for a variety of reasons. But, they seem to boil down to just a few basics. The idea is to get above the deer’s line of sight and scent. 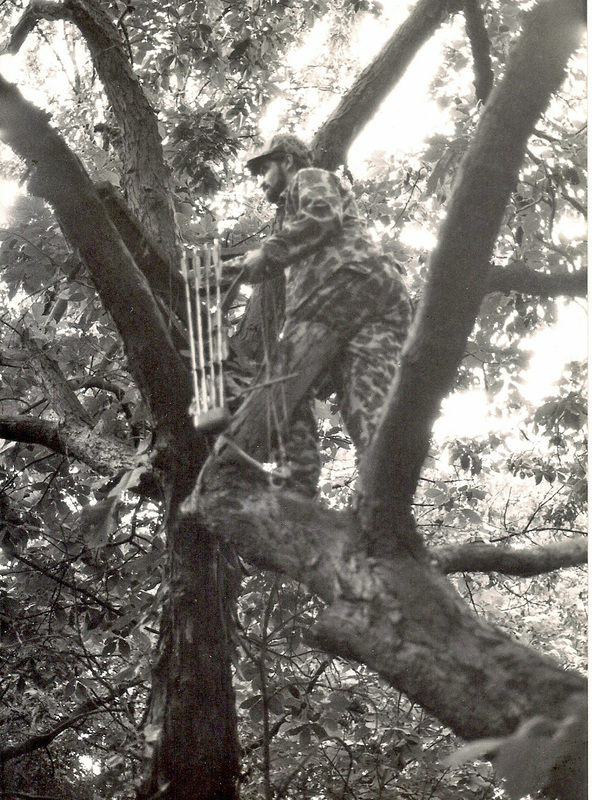 In early days of treestand use the premise was that 6 feet high would accomplish those purposes. The idea that deer never look up soon gave way to experiences of deer seeing a treestand hunter and avoiding him/her. Soon hunter moved up to higher positions and soon they were taking positions up to 15 or 20 feet off the ground. The deer found that that there are other things in the trees besides the squirrels. Aside from staying out of high stands, how else can one avoid injury? To begin, inspect the stand thoroughly for flaws in workmanship. If it is a permanent stand, check it thoroughly before the season begins and at least once during the season. Replace any suspect steps. Look for signs of rotting wood, loose nails, etc. If they even look like they might not be sound, replace them with new materials. The same common sense applies to the stand itself. Check it for stability and soundness of construction. In addition to the safety angle, check it for squeaks and creaking sounds. Noise from a treestand will spook deer. Make sure the stand is one in which you can be comfortable. If one is uncomfortable in the stand, he will be tempted to move around in order to finds a more comfortable position. Deer fix on movement and it spooks them. The more one moves around the more the risk of falling out of the stand as well. Falls from stands are the most preventable cause of accidents for hunters. All one need due is invest in a safety harness or use the one that comes with the stand. The best ones have nylon webbing and a 2-3 inch width on the straps which are adjustable. It attaches to the tree not to the stand. That way, if the stand gives way you still have protection. The safety harness is vital in booth the permanent and portable stands. In the purchase of a portable stand be aware that they are smaller allowing for less opportunity to shift positions for comfort. If you have stand with a small seat and you have a big bottom you are not going to be comfortable. Take from one who knows. Portable stands tend to be flexible. It is important to make the stand a part of the tree as far as stability is concerned. Placement of the stand in a tree can be risky. You must adhere to manufacturer instructions exactly. They have many years of experience and their concern for safety is high. They want you to be safe and to tell you how much you like their product. Practice placement of the stand prior to the season. In the pre-dawn light it not the time to learn how to enter and exit your stand and use the safety harness properly. If you are using some kind of climbing steps or ladder, make sure they firmly anchor to the tree. If using tree limbs to get to the stand make sure they are not rotten and present an easy pattern for climbing. Place the stand in a position which allows you easy shooting with a minimum of movement and without having to lean away from it. Clear shooting lanes ahead of the hunting time. These will allow you open access to any area in which the deer are likely to travel. Use a rope to lug all your gear up to you in the stand. The haul rope should be about 3 feet longer than the distance from the ground to the stand. Do not try to carry it up with you. This includes not only your weapon but also all your other gear you need. Be sure that weapons are unloaded when hauling it up. Some items can be stored in a day pack. Wait until firmly seated before hauling up your gear. In that way you are not in danger of dropping the gear or worse yet falling on it. Once the gear is up, find a way to make sure you securely attach everything to the tree or stand. The idea is to avoid loose objects falling to the ground at the most inopportune time. Also find a secure place for you weapon. Never, repeat never; drink alcohol in a treestand or prior to entering one. Alcohol alters ones perception and that can be fatal when perched on a small platform high above the ground. Once the deer comes into view do not forget safety. Move slowly into position taking care to avoid any sound and within the limits of the stand. After the shot, or when the day’s hunt is over, it is important to do the safety measures in reverse. Do not let being in a hurry to get home, or the anticipation of seeing and revering your trophy cloud your judgment as to safety. Treestands are an effective hunting tool if used with common sense. Being in one on a crisp morning is an experience that is a greater high than any artificial high.